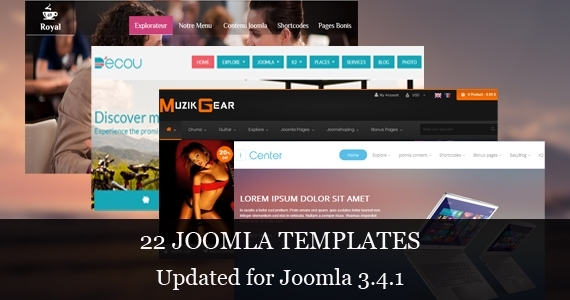 It's our pleasure to announce that we completed to upgrade 22 Responsive Joomla Templates to Joomla 3.4.1 last week. Besides, some of them also were updated with prettyPhoto bug fixed. Now, let's take a look on these items and take your ones here. Hope this information is useful to you! Tell us your ideas about these updates by leaving your comment here. Feel free to discuss with us your wishes for our feature products here! Hope this helps.